A good friend who is the distributor of Shimmer Sheetz, Els van de Burgt is coming up to Calgary to teach at the end of October. Thought I'd make her an Xmas card using the product... Love the way it turned out. I've got punched, die cut, glitz, stamping, calligraphy, distressing, embossing - the whole shebang. Anyway to see more details and descriptions etc, just click on card image and enjoy. And I'm using a small sentiment stamp from Quietfire Design love this little stamp. Fab card. Thanks for joining us at Dude Time Doodles this week! Gorgeous poinsettia! The colors are beautiful and compliment each other so nicely. Thanks for joining the challenge this week at Dude Time Doodles. Beautiful card! Thank you for sharing with us at Flutter By Wed. Your poinsettia is gorgeous and so shimmery. So glad you joined us for the Think Pink challenge at dude Time Doodles this week. Gorgeous! What a lovely poinsettia. A beautiful card. Thanks for joining us at Dude Time Doodles challenges. Thanks for joining us at Dude Time Doodles with your Think Pink card! I love that poinsettia! Thanks for joining us at Dude Time Doodles, hope to see you again! Lovely card...Thank you for joining us at Digistamps4joy and good luck..
Lovely card, love all the layers on the flowers. Fab card. What a great poinsettia! Love how it all comes together! Thanks for joining the Dudettes for their Think Pink challenge at Dude Time Doodles. What a beautiful poinsetta. Such gorgeous colours, it looks amazing. Thanks for joining us at Papertake Weekly this week. Gorgeous sparkly creation and love the color choice, thank you for sharing your lovely work with us at The Secret Crafter Saturday Challenge this week. Gorgeous card, Thanks for joining in with us at Dudetime Doodles. 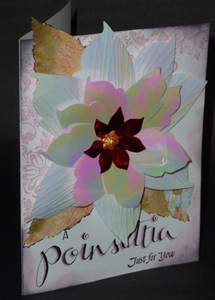 Stunning Card, love the poinsettia. Thank you for joining us at Dude Time Doodles this week. Thanks for entering the Dude Time Doodles Challenge - hope you can join us again next time! Love the layered flower effect. Very creative. Thanks for joining in with our challenge at One Stop Craft this week. Now that is wonderful!! I love the petals! Lots of techniques for this card, very pretty. Thanks for joining in with the Crafty Purple Frog challenge. Absolutely beautiful! Thank you for playing with us at Digistamps 4 Joy!